I step away for two weeks, expecting the world to go into just as much of a shutdown as I did, but the business of licensing and releasing anime still continues. It’s just that there really isn’t a lot of news this time of year, unless it’s bad news, the kind of news that comes with bankruptcies, redundancies and receiverships. It was this time of year that ADV UK went bye-bye, and it was also the turn of the year that saw off Beez. This year we’ve had Parcel Link go, although I don’t know who used them for anime delivery. There was a period once upon a time that every UK anime company used VDC for disc replication, but that’s long since passed. This year VDC went under, but I don’t think that will make a difference to consumers of anime. It’s actually been Manga Entertainment that snuck out the bad news over the holidays, as it seems their retreat from the marketplace continues. They announced that the forthcoming releases of Ben-to and Good Luck Girl will be DVD only. You might recall that when first announced, they were to be Manga’s big experiment, their first Blu-ray only releases. And checking e-tailer listings for forthcoming releases, it might be that this is only the beginning of a trend from Manga Entertainment. I feel a little like Trevor McDonald, but just as I posted this, an e-mail from Anime Limited dropped into my inbox with a press release for the worst kept secret in UK anime these past few weeks. Starting today, Jeremy Graves, formerly Community Liason at Manga Entertainment will be beginning his duties as Marketing Executive at Anime Limited. Expect to hear those dulcet tones extolling the virtues of some of the shiniest releases in UK anime today, beginning with Giovanni's Island next week. 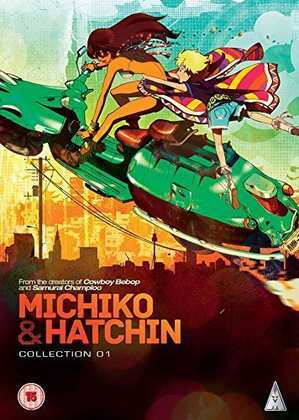 It was Stuart McLean who delivered the first dose of anime goodness in the form of a review for Michiko and Hatchin: Part 1 on DVD. You might recall that I took a look at the Blu-ray import of this title last year, and fell in love with its unconventional road movie storyline, set in Latin America, as an escapee from prison, and the estranged daughter of her former lover go on the run to look for him. See what Stuart thought of this Latin American Japanese cocktail by clicking on the review. Speaking of imports, I started the year by looking at Funimation’s S.A.V.E. release of Yamada's First Time: B Gata H Kei. Yamada’s First Time is about a girl desperate to lose her virginity, which would most likely set off alarm bells and get the tabloids salivating at a salacious headline. This show isn’t anything like that (although the crappy trailer is). Instead it’s a sensitive, heartfelt, and genuinely funny look at teen sexuality and young relationships, like American Pie but better. And that trailer really doesn’t sell the show. 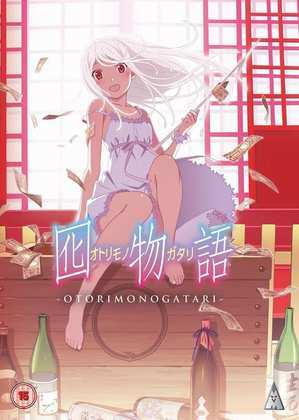 Then it was the turn of Otorimonogatari, the next instalment in Monogatari Season 2. This time the focus is on Sengoku Nadeko, the middle school girl with a crush on series protagonist Koyomi Araragi. As usual for a Monogatari release, this one is heavy on the character analysis through dialogue, backed up with spectacular animation from Studio SHAFT. But what happens in this arc has lasting consequences for the rest of the series. Click on the review to read more. You could say that I kept the best for last, but this week’s reviews are all of such high quality that you could also say that about any of the others. But Garden of Sinners was one of the most anticipated releases of 2014, made all the more sought after following a couple of delays at the end of the year. Despite that, I was a mite late with the review of this acclaimed series of movies, a supernatural horror thriller from Type-Moon, the creators of Fate/Stay Night and Tsukihime Lunar Legend. I see what all the fuss is about in this review, and find that the hype, for once, really is justified. 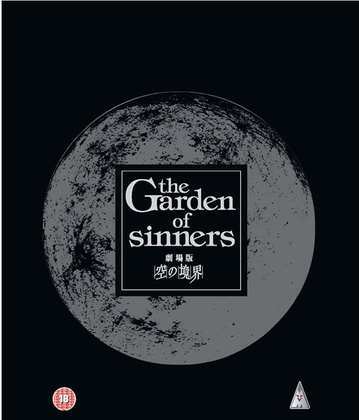 MVM released Garden of Sinners on the 22nd of December last year on DVD. Michiko and Hatchin is released on DVD today by MVM, while they release Otorimonogatari on DVD on the 19th of January, and the Blu-ray on the 26th. It was Funimation that released Yamada’s First Time: B Gata H Kei on their budget S.A.V.E. label with a DVD/Blu-ray combo at the end of last year.